Do you want to hanging out with your friends in one of the best district of London? Soho is such an incredible place to party and there are always very good vibes there. You will find all kind of bars, restaurants and clubs! 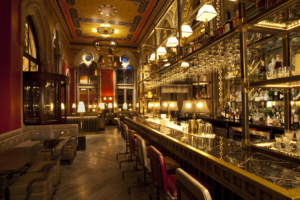 We have selected for you some of the best soho bars. 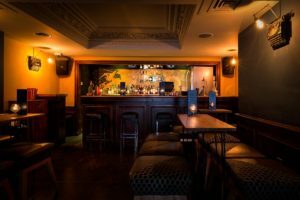 The first one is called the 68 and Boston and this is a wine and cocktail bar in the heart of Soho, that's the best wine bar of the district! This place was conceptualized by Eric Yum Martin Malley and Luca Cordiglieriwho who are among the most experienced in the wine and cocktails field. The bar contains so much of the best wine of the entire world and prices are very reasonable. The place is divided into two parts, downstairs there is the wine bar with a selection of the best wines which are all at the same price (£5.50 for the glass, £14 for the carafe and £20 for the bottle). At the first floor there is the cocktails bar in a wonderful subdued room. Cocktails are so original, you will find cuttlefish ink Martini for exemple! The Staff is so nice and there is always a good atmosphere… We let you the surprise to discovering the decoration which is just perfectly adapted to the place! The second of the best soho bars is the very cute and atypical Termini Bar which is specialized in coffee and cocktails. Cocktails are managed by Tony Conigliaro an alco-alchemist and coffee is managed by Marco Arrigo, the quality responsible for Illy. 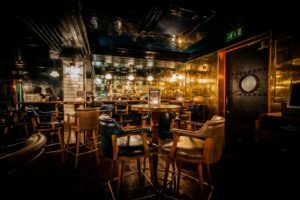 These guys are really passionate about their work and we can feel it, that's their because of their investment that the Termini is one of the best Soho bar today! The place can host 25 people approximately and they have some good food (baked products during the day and meats or cheese during the night like burrata and beef carpaccio). 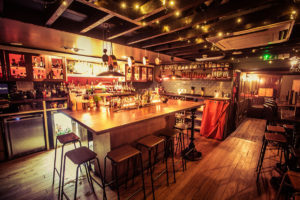 This bar is reputed to be a cosy, authentic and characterful place with a great service and a relaxed atmosphere. The last one of the best soho bars is called the Basement Sate and it is one of the finest bar located in Soho with its intimate and cosy atmosphere, exposed brick and dark wood… You are going to love this great place where there is the Paris charm, it is so appealing and lively, seats are so comfortable and the staff are always friendly and knowledgeable so they will give you the best advices for your cocktails and food choices. You will eat some delicious pies and amazing pastries, drink whatever you want (they have a great gin selection) and dancing during the night! Do not hesitate to go there with your date because this is a very romantic place. They have also pastry and cocktails classes where you can learn make the best french’s cakes!